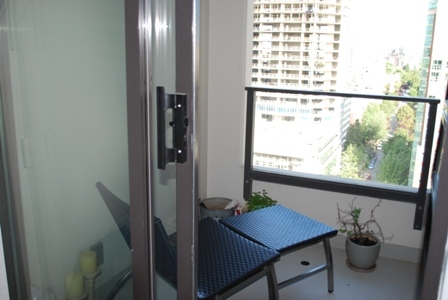 This spacious 450 square foot one bedroom apartment in the heart of downtown Vancouver is the perfect spot to enjoy all the Vancouver 2010 Olympics have to offer. 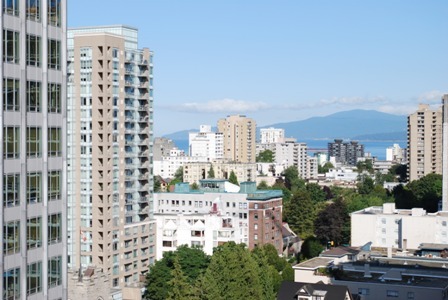 The suite features a balcony overlooking the lower rooftop garden and there are peek-a-boo views of the mountains and English Bay. 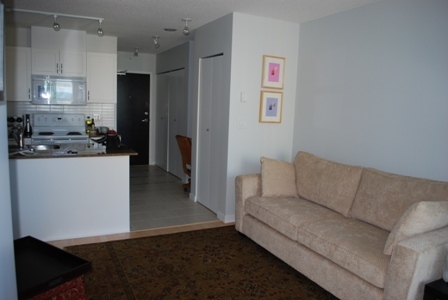 Enjoy the open layout, modern decor, and all the comforts of home at a location that can't be beat. 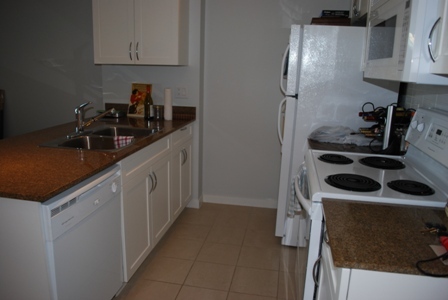 There are new hardwood floors, granite countertops in both the kitchen and bathroom, and a spacious living room. 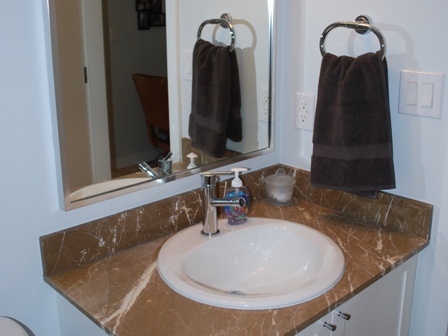 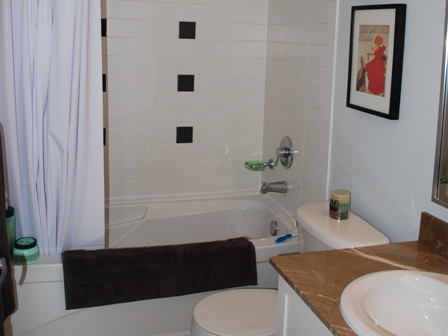 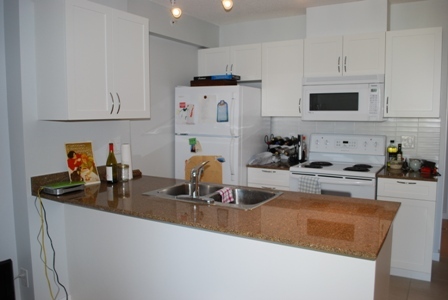 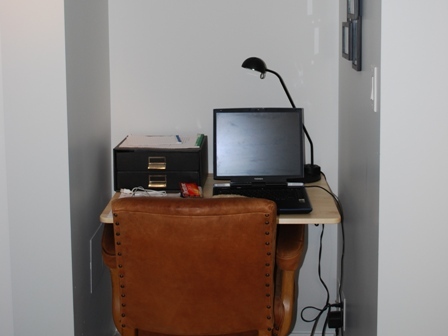 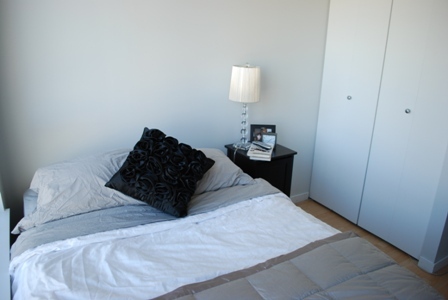 Conveniences include in-suite laundry and one secure underground parking stall. 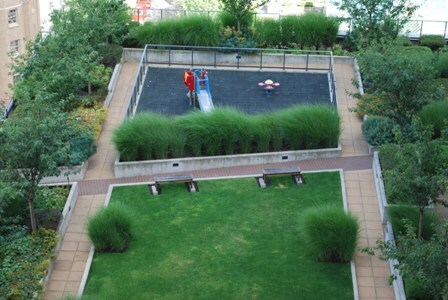 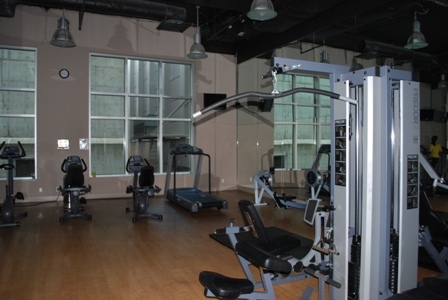 The building features an exercise room, recreation centre and two rooftop gardens. 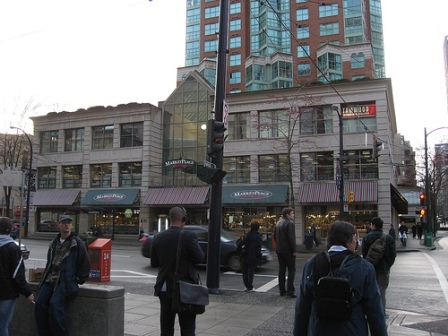 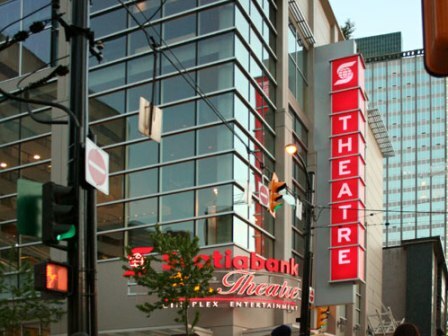 The building is located only one block from famous Robson Street shopping. 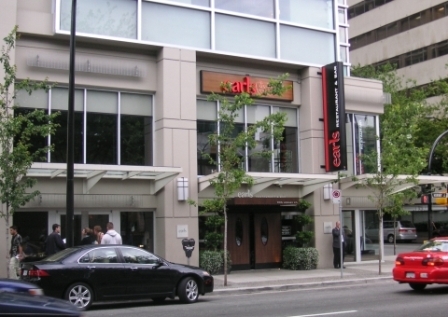 Several dining choices and a deluxe multiplex movie theatre are steps away on the ground floor of the building. 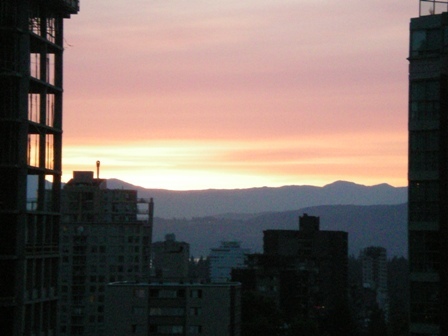 Public transit and services are all within a less than 2 minute walk of your front door. 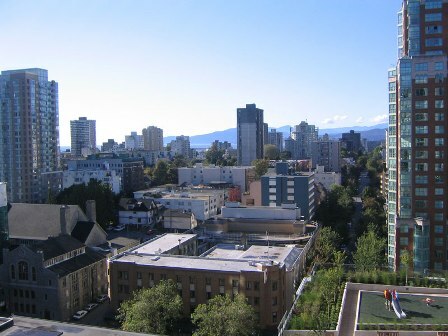 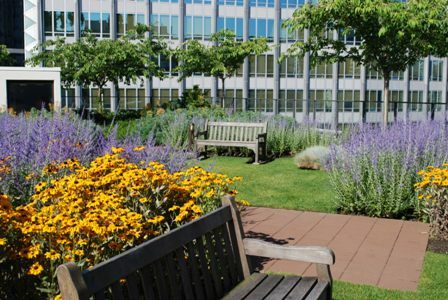 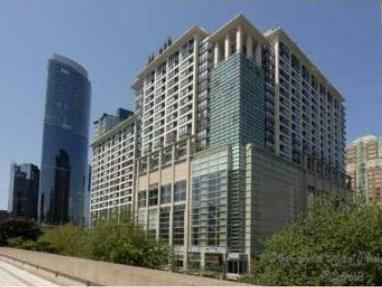 This location is within easy walking or a short transit ride of all the downtown Olympic venues.